Kodak (NYSE EK) has been promising investors the details of their entry into the home inkjet printer market for some time. But the discussion of their breakthrough in inkjet has been delayed. See the Rochester Democrat and Chronicle for more details of the delay, and mark that new 2007 calendar for February 8th. Blurb is a Web-based and blog-oriented book-making service (physical books, not bets!) that I covered early in 2006 after seeing them at the Demo conference. They've been cited as one of Time Magazine's Top 50 web sites of 2006. Their "Blog Slurper" is still in development for Blogger, so I've held off on trying to publish my own book. A TypePad version has been available since Fall. Let me make a quick note while risking one of the cardinal sins of blogging, i.e. blogging about blogging. Google's Blogspot, my tool of choice for the past year, is no longer officially in Beta! A new print utility was announced last month named GreenPrint. The small Portland-based company that has developed and is marketing the software was able to get the attention of none other than Walt Mossberg, who reviewed (quite favorably) GreenPrint in both his Personal Technology column and on CNBC. This year we've seen quite a bit of activity centered around more efficient Web printing (Lexmark's Web ToolBar and IE7's print enhancements come to mind) but kudos to GreenPrint for putting their benefit statement so succintly -- as Walt puts it, it's a "product that aims to solve the wasted-page problem" that I've been hearing about for more than 10 years! Observations: Low-End Color Lasers—Build Them and They Will Come? One of the printing and imaging industry’s most important trends of 2006, well documented elsewhere in this year-end edition of the Observer, was the plummeting prices of high-quality personal color laser printers. A midrange or low-end color laser printer now costs the customer less than an equivalent monochrome laser printer did just a few years ago. But does the downward pricing trend change the customer’s buying behavior? Is this a case of throwing cheap hardware to the masses and watching them beat a path to the vendors’ and resellers’ doors? My answer to both questions is no. Similar to the situation two decades ago when desktop publishing (DTP) solutions propelled monochrome laser printers into a multibillion-dollar industry (to say nothing of the boost DTP gave to a nascent operating environment called Windows), the success and growth of the low-end color laser printer market depends on developing a story around what to do with color laser printers and how to do it. A basic marketing principal is that selling a product involves more than just offering a low price. 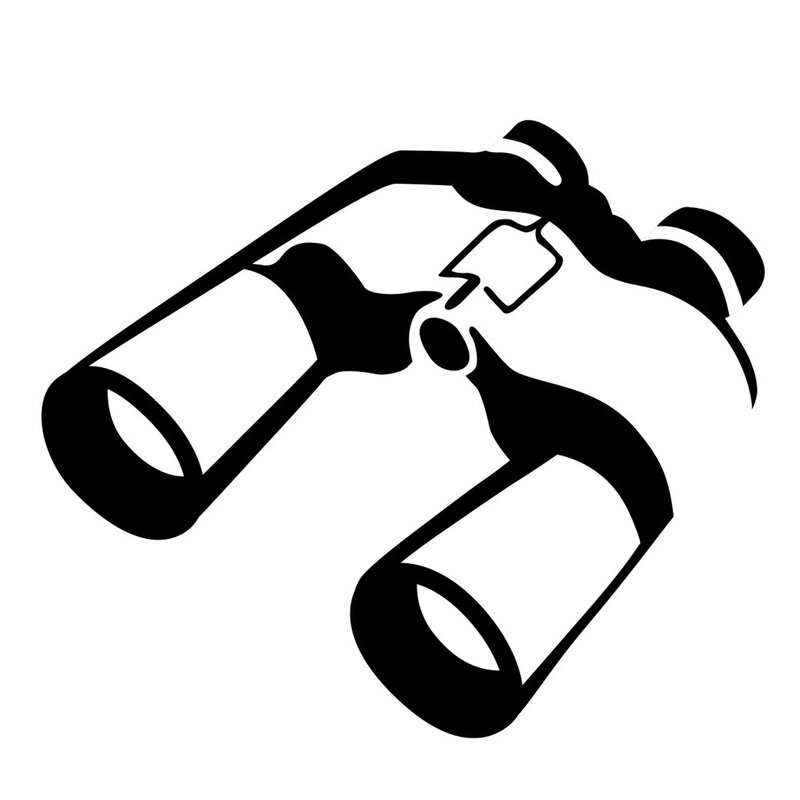 Identifying customer needs and satisfying those needs better than anyone else is the key to marketing nirvana. This strategy is not always the easiest concept to internalize in an industry that revels in hardware price/performance trends and supplies usage factors. But there is a customer behind all that data, and a really nice color laser printer—no matter how inexpensive—may prove to be a boat anchor without a real application for it. Healthy supplies usage also requires real-world printing applications to drive the use of toner, ink, and paper. Enough about marketing theory. What is the key to pulling low-cost color laser printers (and high-quality business ink jet printers) through the channel? Many believe that at least one of the drivers is a small business’s need for high-quality marketing materials that can be printed in house, rather than being outsourced to a local commercial printer. One of the original goals of DTP was to bring high-end publishing capabilities to the masses, and that idea has now expanded to include printing originals directly on the in-house printer, albeit in smaller quantities than before but with higher frequency. Small business is the target of the in-house marketing push. The ability to crank out small quantities of originals meets a small business’s obvious need for personalized short runs. And small businesses represent a massive opportunity for printing and imaging vendors. The Small Business Administration reports that 99.9 percent of the United States’ 25.8 million businesses have fewer than 500 employees, and expanding the definition of small business to include nonprofits and other similarly structured organizations makes this market segment that much more attractive. Vendors have been promoting do-it-yourself marketing for years. Ink jet technology provided the first wave of printers for do-it-yourself marketing applications, but now color laser printers are coming to the forefront due to their image permanence and ability to produce crisp and professional-looking output. Vince Ferraro, vice president of HP’s LaserJet Business, waxes enthusiastic about what the firm now calls in-house marketing. He asserts that while HP offers a broad and growing portfolio of high-quality business ink jet and color laser printers, buyers often decide to go with a color laser product because these devices offer a broad range of finishing options and can use a wide variety of media. For example, Ferraro points out that creators of marketing collateral want to be able to approach the “look and feel” of the output from commercial printers. In terms of putting together a total in-house marketing solution, I refer back to my DTP example from the late 1980s. Aldus, HP, and Microsoft worked together to match Apple’s all-inclusive DTP offering. Similarly, Ferraro speaks about “building an ecosystem” around the in-house marketing solution. HP’s current Web page, http://www.hp.com/sbso/productivity/office/index.html, is a gateway to solutions using common applications such as Microsoft Word, Publisher, and PowerPoint; Corel Draw; and Quark XPress. The company’s Web site also offers links to HP partner services such as template designs (StockLayouts), logo creation (LogoWorks), and stock photos (iStockphoto). In case you are wondering if HP is done with this effort, the answer is “not by a long shot,” according to Ferraro, who says that HP is working on other related services, including copy creation. So is this just one more area where centralized printing is relinquishing its leadership role to desktop and workgroup printers? Not necessarily. Home inkjet photo printing took off a few years ago, but centralized photo printing is fighting back, as exemplified by HP’s 2005 acquisition of Snapfish and Shutterfly’s recent IPO. And what about color laser printers hitting closer to home and infringing on the photo-specialty ink jet printing turf? Ferraro insists that HP’s color laser printers are not positioned to compete in the consumer photo market, despite their inclusion of features such as memory-card support. Rather, HP’s color laser printers are optimized for printing photos as a part of business documents, and effective in-house marketing collateral certainly needs to include high-quality photographs, especially in early-adopting industries such as real estate. So, in short, my take on the color laser printer market is “Build it, and they will come.” But the “it” that vendors need to build is a complete package including hardware, software, and solutions, not just cheaper and faster laser printers. I'm watching the live webcast of HP's (NYSE HPQ) securities analyst meeting, and the head of the Imaging and Printing Group, Vyomesh Joshi aka VJ, has just taken the stage. That's his quote, that HP is now emphasizing "printing, not printers". A very simple statement with deep meaning. See blog updates on the entire meeting at ZDNet. A couple of interesting references to marking technologies of the past caught my attention over the weekend. The first title, "Retro Printers, Grounding the LaserJet", sounds directly relevant to this blog's mission of reporting on the past and future of the printing industry, is from the weekend NY Times Art and Design Section. It describes a growing trend in interest in printing using OLD presses. The LaserJet reference in the headline turns out to be only a play on its name and the term "grounded". Still, nice to read about an interest in an old and disappearing craft. The other parallel (?) 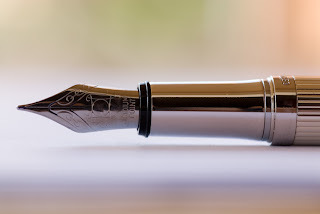 piece in the news has to do with the Scottish elementary school emphasizing instruction in using fountain pens! Techdirt, as usual, covers this trend (?) "well" (poor pun intended). No, not the cheers kind of toast. We're talking imaging on bread. We started the week with print-on-demand books, and now we're closing with something a little more "off the wall". 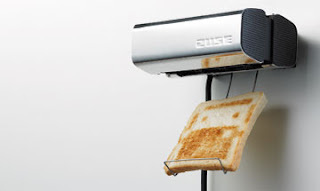 Gearlog reports on the Zuse -- a wall-mounted toaster that "burns" a 12 dpi image on your breakfast toast. In a business wire announcement this morning from Hewlett Packard (NYSE HPQ) discloses a book-on-demand print deal with Amazon (NASDAQ AMZN). The online bookseller will use HP's Indigo digital presses for on-demand book publishing. In another deal announced right before Thanksgiving, photo printer Shutterfly (NASDAQ SFLY) will use Xerox (NYSE XRX) iGen3 presses for at least some of their printing needs.